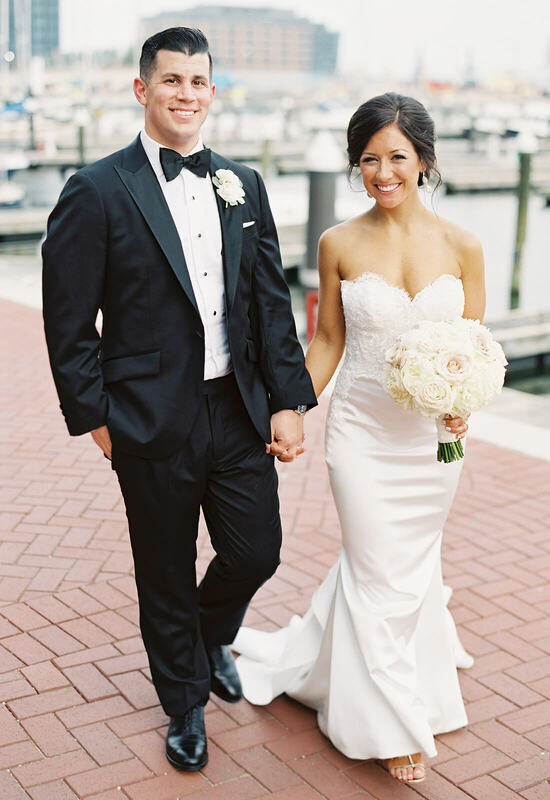 On June 4, 2016 at the Four Seasons Hotel in Baltimore, Maryland, Rachele Lake exuded confidence and grace as she walked down the aisle to wed her soul mate, Justin. 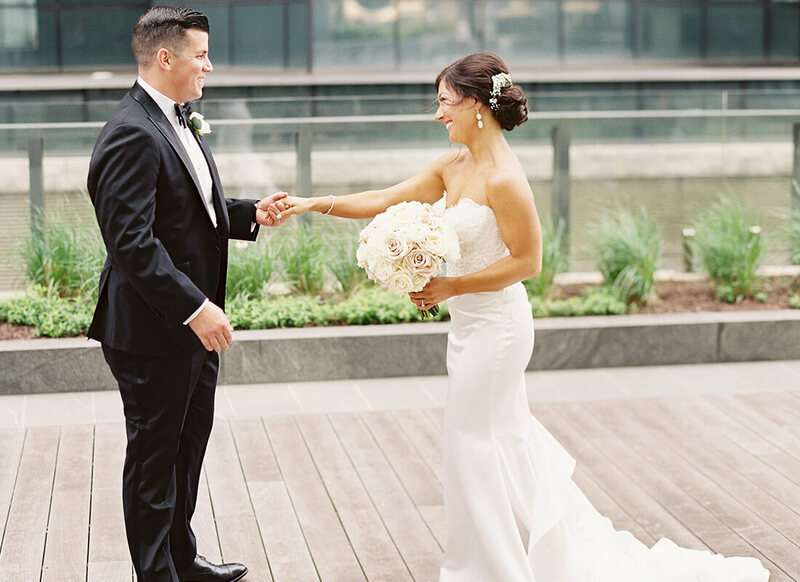 In a gown that fit her like a dream, Rachele couldn't have been more excited or ready to say her “I do's.” To begin her wedding gown search, Rachele knew that she had to visit the Pnina Tornai Boutique at Kleinfeld Bridal. Having watched Say Yes to the Dress with her mom and even getting her future husband hooked on the show, Rachele was excited to visit the famous bridal salon. In fact, Justin was so hooked that he often told his wife that he thought she should get a gown from the famous designer, Pnina Tornai! Oh if he only knew! With a full day of dress shopping planned out, Rachele headed to the boutique with her parents and maid of honor, ready to find her dream gown. Initially looking for an A-line gown, Rachele soon discovered that maybe this was not the silhouette for her petite frame. Rachele put her full trust in her bridal consultant, Dianne, and asked her to pull some gowns that she thought would work for her figure. Getting an idea of the bride's style and having a deep knowledge of gowns and their fit, Dianne pulled a fitted gown with a beaded lace bodice and silk satin skirt for Rachele to try on. The results were shocking: “I would have never picked that gown but Dianne just knew,” exclaimed Rachele! The gown fit like a glove, and Rachele was instantly in love. With a look of pure joy on her face combined with the reaction of her friends and family, Rachele knew this gown was the one. 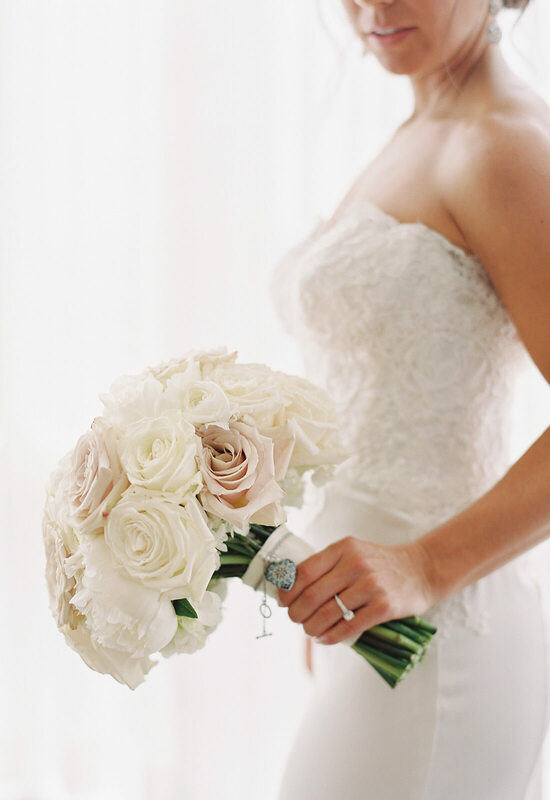 Initially planning to visit other stores after the popular boutique, Rachele promptly canceled those plans and spent the rest of her day in New York celebrating finding the perfect wedding gown. As perfect as the gown was, there were a few personal touches that Rachele wanted to incorporate into the design of the dress. 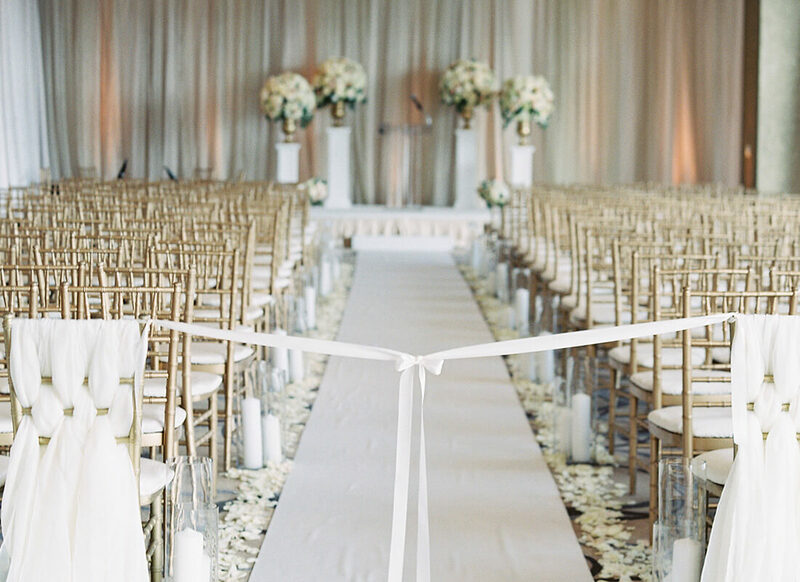 Rachele worked with the Pnina Tornai Boutique Manager, Ally, to make custom changes such as removing the tennis bracelet straps, raising the low back just a bit, and lining the gown's illusion corset. After making the dress her own, Rachele had no doubts that she had truly picked the wedding gown for her. 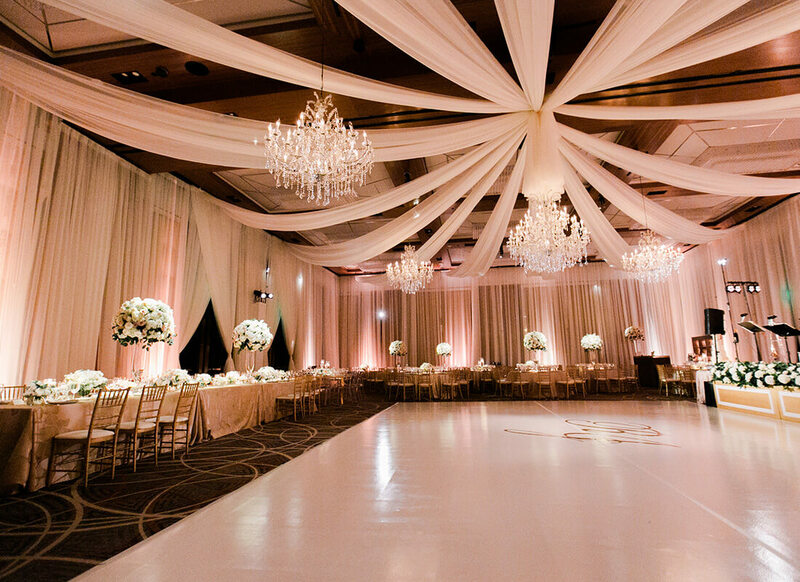 With such an elegant and sophisticated venue for their wedding ceremony and reception, the beading within the lace bodice of the gown added the subtle touch of glam that Rachele was looking for. In addition, Rachele loved the uniqueness of her short layered train, which was perfect for her petite figure. 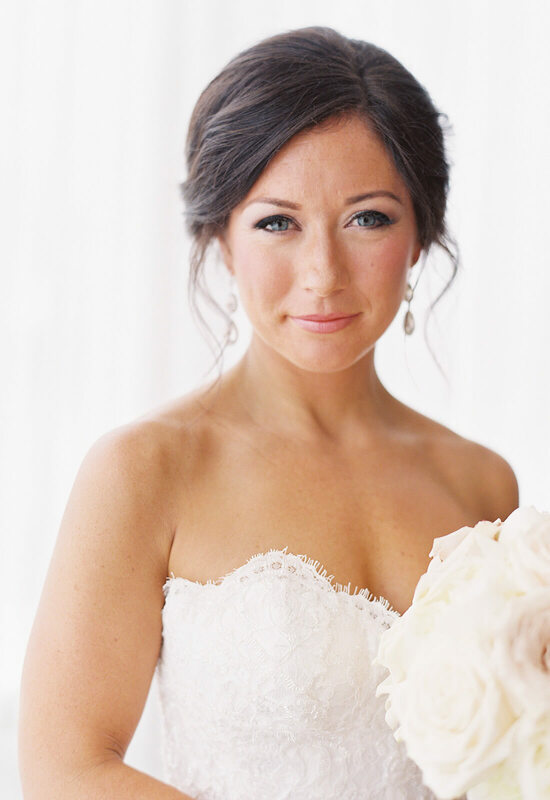 To add the final touch of glam, Rachele wore long veil with lace all along the edge to complement her chic up-do. 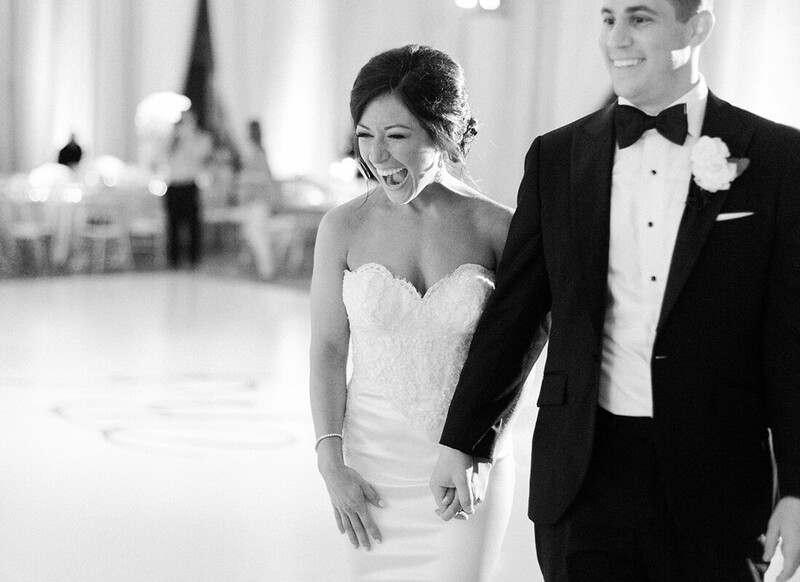 A vision of sweet sophistication, Rachele was ready to walk down the aisle in her custom fitted gown with a beaded lace bodice and silk satin skirt. 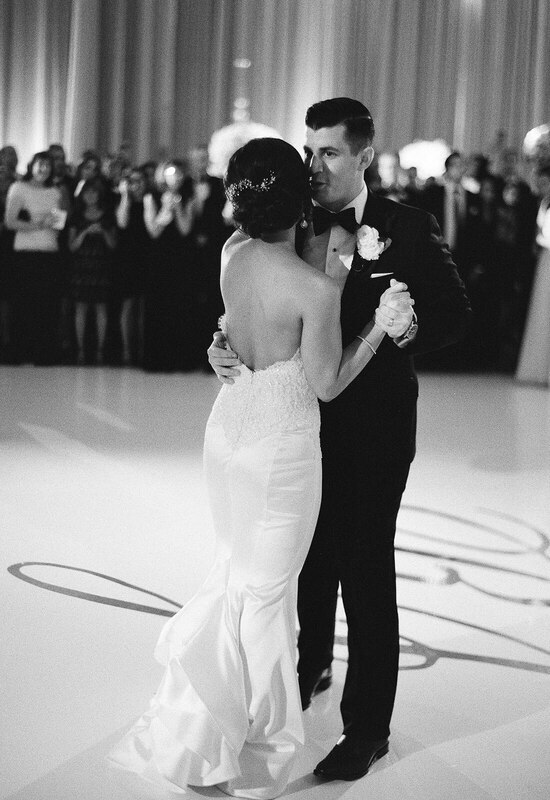 In a gown that surpassed her wildest dreams, Rachele felt how every bride wants to feel when marrying their true love. “I felt like myself,” Rachele fondly recalls, “I felt like this was exactly how I should look and feel to go and marry Justin.” Confident in her choice of love and her choice of gown, Rachele was in bridal bliss knowing everything was exactly as it should be: perfect.